We are honored to be voted “Best in Destin” for outdoor furniture by the readers of VIP Destin Magazine for the sixth consecutive year. If you know us, you know we live by example. We want to help our clients find the perfect products to create a customized look and ultimate comfort within their outdoor space. Whether it’s a patio, porch, balcony or backyard, we enjoy the challenge of finding the ideal products for our client’s budget and space. We are proud to be the leading outdoor furniture retailer for high quality brands, including Sunbrella, Tropitone, Lloyd Flanders, Lane Venture, Brown Jordan, and Tommy Bahama, among others. Our outdoor furniture lines can withstand the Gulf Coast’s harsh environment, and include a minimum five-year manufacturer warranty. We also specialize in outdoor accessories, appliances, fire pits, outdoor fabrics and pillows, and premium grills, including the Big Green Egg, and more. 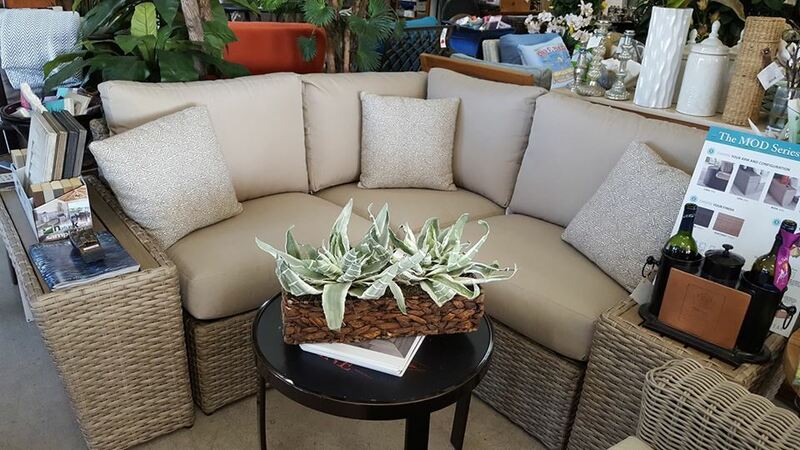 We work hard to ensure we have the largest selection of in-stock patio furniture in the region because when you have family and/or friends coming to town, we want you to be ready to entertain in style. It is rewarding to know that our efforts are appreciated. We are extremely grateful for the many friends and clients who voted for us and have supported us over the years. Our showroom is conveniently located one mile west of Silver Sands Premium Outlets in Miramar Beach. We invite you to touch, try and sample a vast array of products before making a purchase. We also have a Sunbrella Kiosk in our showroom with product samples for dozens of premium outdoor fabrics with UV protection. Come see us at 32 Forest Shore Drive, Miramar Beach, Fla. 32550 or call 850-269-4666. Cheers to outdoor living at its finest!